A new horizon in addiction treatment. People’s lives don’t come one-size-fits-all. So why should addiction treatment? At Sage Prairie, we offer empathetic, evidence-based addiction treatment options tailored to your specific needs. We specialize in medication-assisted treatment, providing our patients with safe, proven pharmacological aids to reduce withdrawl symptoms and control cravings. We also provide psychosocial treatment including counseling, recovery coaching, peer group facilitation and more. We take most insurance and can help you get enrolled in insurance programs if you’re not already. We also accept state funding through Rule 25, and have a sliding scale for insurance plans we don’t accept. © Copyright 2019 Sage Prairie. All Rights Reserved. 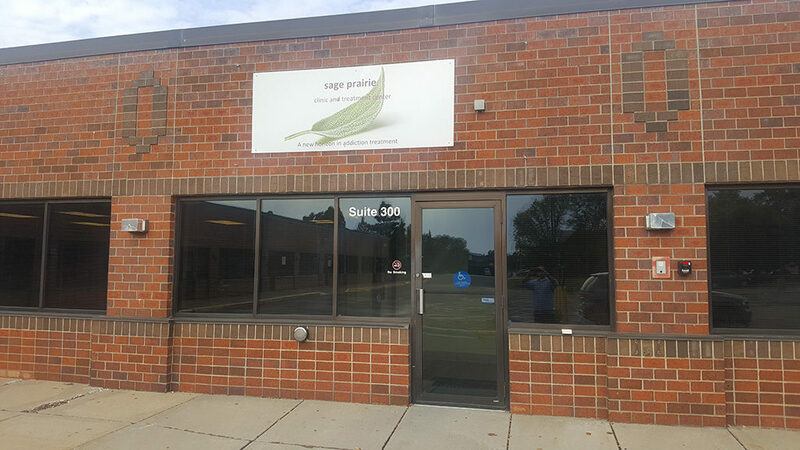 We are now located at 1440 Duckwood Drive in Eagan, see the contact page for more details.